Rustic cabins have microwave, refrigerator and range. Picnic tables with gas grills outside. This was a nightmare. First this campground does not look like the pictures. Upon arriving we were put on a spot that was way too small. I do have pictures if needed. We were in a 35 foot camper with a slide and an awning. When we tried to park it was obvious the site was too small because we could not open our awning and slide at the same time. We immediately went to the office to ask them to come look and move us to a larger lot. They came down and suggested pushing the trailer back but then we would need 3 pieces of sewer line to hook up to the drop inside the bushes that prevented the slide from coming out and the water hook was hidden beneath it too. We told them we only had 2 sections and they suggested buying another one from them? He then offered a refund (we were to stay 3 nights and it was the 3rd-5th of July) and we knew the other campgrounds would be full. This is located near Mt Rushmore so high tourist area. When we ask about a larger lot he said we could only have it for one night then would have to move back to this one? But then the next day he put a camper on this same lot that had no slide and was only around 20 foot long????!! so why couldn't they have used our lot? Bottom line is the campground is out of date the lots are too small and they need to update it or inquire on sizes when placidly campers on the lots. They also charge $5 a day for cable extra and didn't even offer too give us that for free or discount our bill? *Note others were also complaining bout similar things. The only positive thing was the lot across the busy highway on the creek which is a public park to walk the dogs. The couple that runs this park are very nice, park was clean, the facilities were well maintained. Hard to get satellite reception. The perfect Black Hills basecamp! 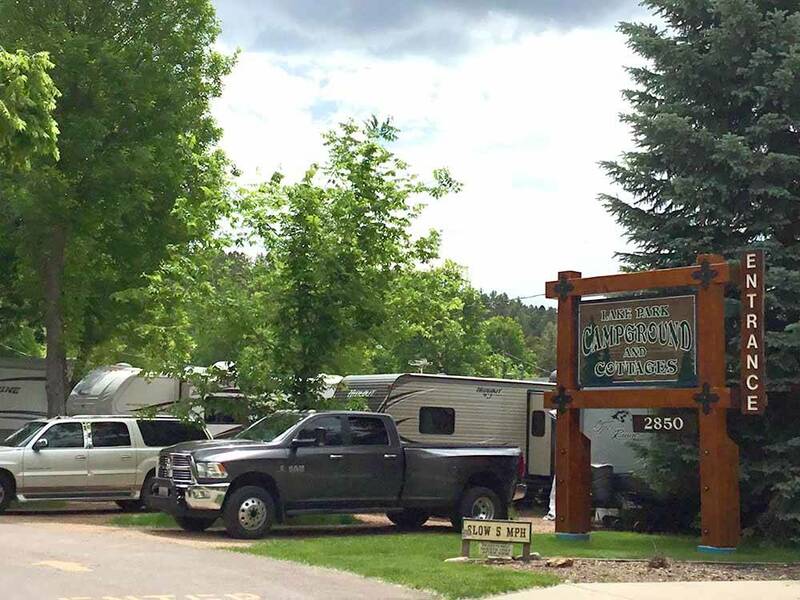 Our fully equipped vacation homes and cottages are centrally located just minutes from the entire Black Hills area. We enjoy helping you with your vacation lodging and making great memories.